Summer time is here and like everyone else, I’m ready to get in gear and get that summer body. From meal replacement bars to “healthy” cereal bars, I’m always on the lookout for delicious treats that will get me through to my next meal. Then, I found GoMacro Bars ummm can you say YUMM! These bars are filled with mostly raw, natural ingredients, are 100% vegan, USDA certified organic, certified non-GMO, are gluten-free. 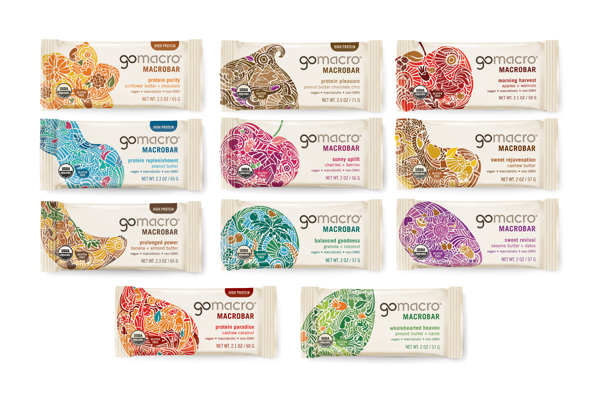 With over a dozen flavors to try, GoMacro has something for everyone’s taste-buds. I was a bit hesitant to try these for myself, but glad that I because I was pleasantly surprised and found a great way to keep the cravings away. 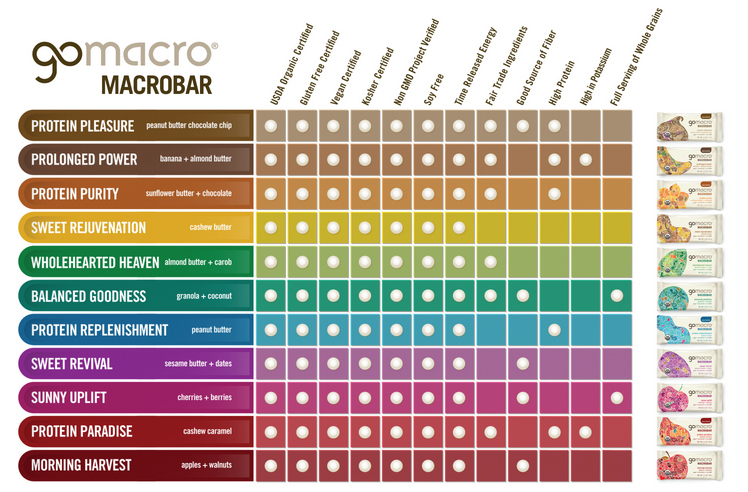 From their Macro Bars to the Macro Minis, these are worth the try. My favorite so far has to be the Banana + Almond Butter, tastes like freshly baked banana bread! Another, must try flavor is the Granola + Coconut, tastes like an oatmeal cookie. This one is a perfect substitute for when I’m having a craving for something sweet and I don’t have to feel guilty afterwards (a box of 24 will cost $30.95 on their website). A family-run natural food company, GoMacro was founded to promote healthy living and introduce the idea of sustainable living after Amelia, the mom, was diagnosed with cancer in 2003. In search of alternative treatments, her daughter Jola Sonkin began to research macrobiotic diets and shortly after GoMacro was born. Their aim is to spread worldwide awareness, create delicious, wholesome snacks from organic ingredients without losing any of the flavors and that’s exactly what they did. 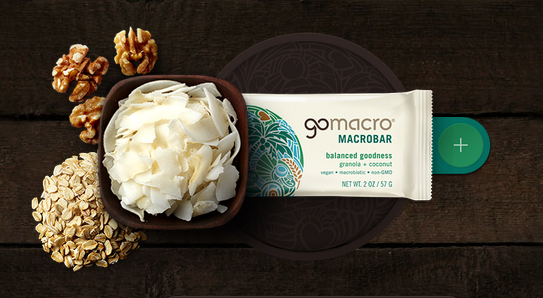 Here’s the skinny on GoMacro Bars. MacroBars are not sold in all stores just yet, but they are available for purchase through their website and as a special bonus to my readers, they’re offering a special one-time 40% discount off your order when you enter the promo code: BLOGGER at the GoMacro Shop. Make sure to try them out for yourself and see what I’m talking about.